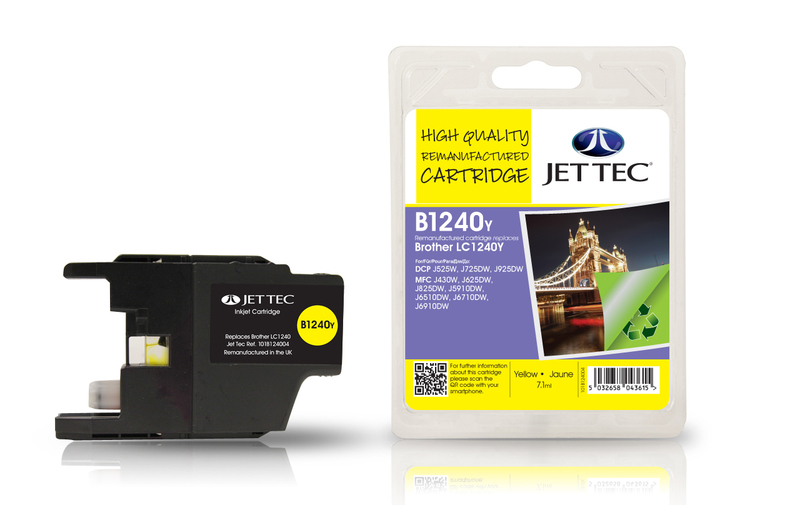 Jet Tec B1240B - High Quality Jet Tec Ink Cartridges for Brother Printers LC1240 - FREE UK DELIVERY! Jet Tec B1240B Brother LC1240BK black ink cartridge - FREE UK DELIVERY! 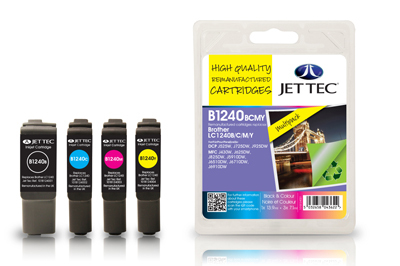 Jet Tec inkjet printer cartridges are made in the UK by DCI Ltd and are compatible with the latest and most popular types of printers. 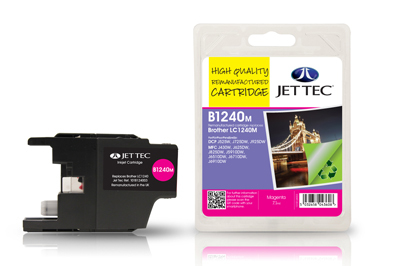 All Jet Tec ink cartridges are remanufactured using the highest quality ink for perfect print quality. 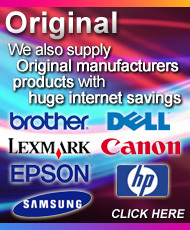 All printer cartridges are manufactured in the UK based factory, ensuring the tightest control over quality. This ink cartridge directly replaces the Brother LC1240BK printer cartridge and has 13.9ml of ink. 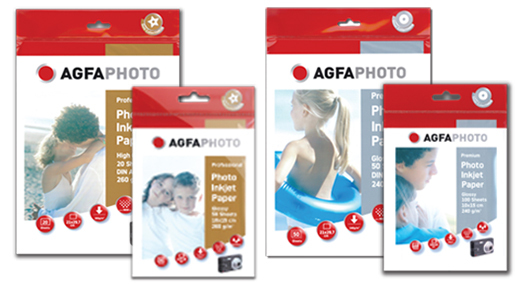 The cartridges is also known as: Brother LC-1240BK, LC1240BK, B1240B, 101B124001. Every ink cartridge carries a 100% no-quibble guarantee from Jet Tec. 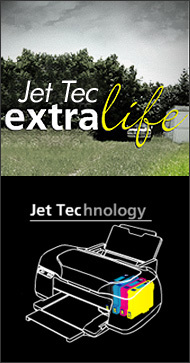 Save up to 70% with Jet Tec remanufactured cartridges compared to the brand-name alternatives. 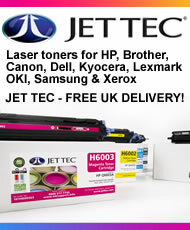 Jet Tec have been collecting, recycling and remanufacturing inkjet and laser toner cartridges in the UK for over 25 years. Jet Tec is an ISO9001 registered company and all inkjet cartridges are covered by a 2 year quality guarantee.